Recently opened Dellarocco’s of Brooklyn is scaring up a special spread for the upcoming holiday, with the unveiling of its “Halloween Pizza.” Toppings comprise pumpkin, smoked mozzarella and bacon. It’s the latest creation from Dellarocco’s Chef Pasquale Cozzolino. 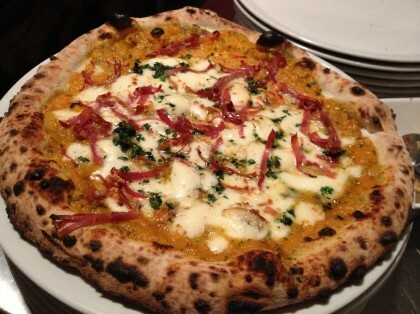 The “Halloween Pizza” is available upon request for $18 a pie. Dellarocco’s, which opened July 31, is located at 214 Hicks Street, between Montague and Remsen Streets. It’s open 7 days a week for lunch and dinner from noon to 10:30 p.m., with take-out and delivery. 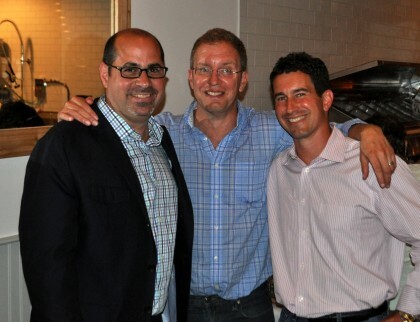 The brick-oven pizzeria is owned & operated by Brooklyn-bred brothers Greg and Glenn Markman and Joseph Secondino. The three are also partners of the Heights Cafe next door at 84 Montague Street. 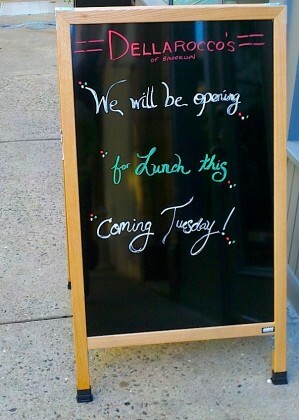 Brooklyn Heights’ newest pizza parlor, Dellarocco’s of Brooklyn, will begin serving lunch on September 4. No word yet on when the eatery will begin its delivery service. Right now, orders are available for eat-in or pick up. Karl and his cam got quite the workout Friday evening. 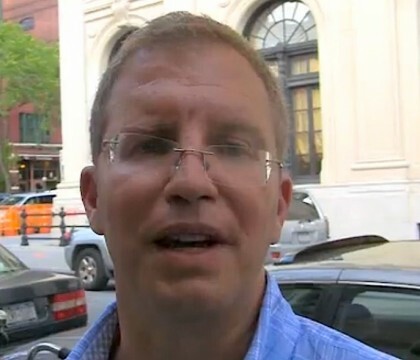 Following his visit to the opera in Brooklyn Bridge Park and Dellarocco’s “soft opening”, he asked Glenn Markman about his views on his and his partners’ new venture, Dellarocco’s, and got an answer that extended to discussion of the new Beach Shack, Brooklyn Bridge Park, downtown Brooklyn, the Nets, the Bossert Hotel, Brooklyn real estate in general, and prospects for the future. Video after the jump. At last! Dellarocco’s of Brooklyn, the new local brick-oven eatery at 214 Hicks Street, one door south of Montague, is set to open for business Tuesday, July 31. The eatery held a soft opening Friday, featuring pizzas cooked in its wood-burning brick oven imported from Italy, which were oh so delectably light & tasty. 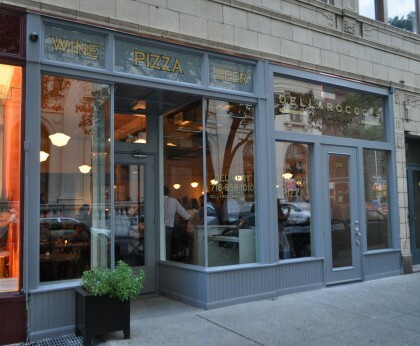 The restaurant also features a wine & beer cafe, offering local Brooklyn brews. And for dessert: hand-made cannoli. Update: Our man Karl was on hand with his cam. Video, as well as more text and photos, after the jump. 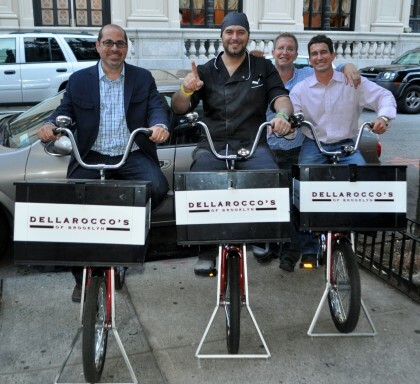 Dellarocco’s owners Joseph Secondino, Glenn and Greg Markman. Hopeful signs of success for the local eatery. 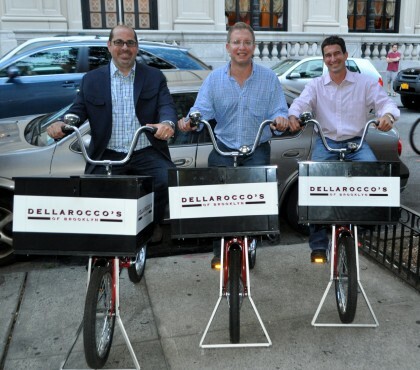 Joe, Glen, Greg… owners of Dellarocco’s Of Brooklyn. The owners with Chef Pasquale Cozzolino in center.